Snowflakes Singles Club ~ Christmas A Go Go! 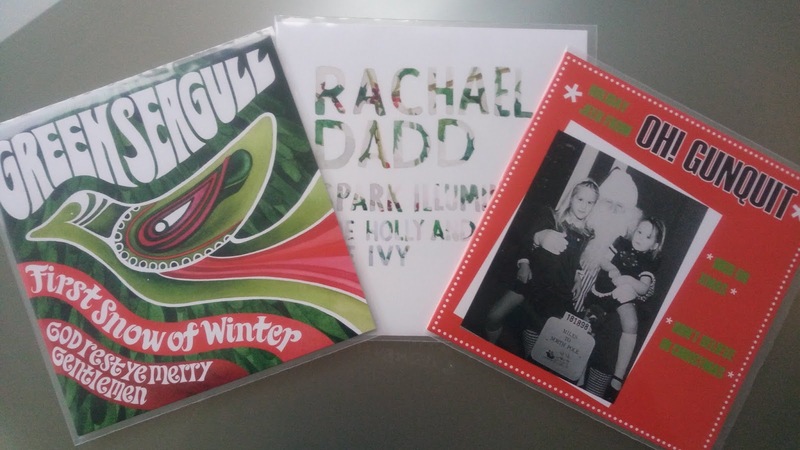 The Dutch Snowflakes Christmas Single Club is the Amsterdam based label from Robert Voogt. He is a big lover of Christmas music and he likes to collect as many Christrmas 7 inch singles as possible. Since 2013 he has released a couple of Christmas singles, in well designed sleeves, every year, see his website. All these singles contain specially for him newly recorded songs. The 2018 bunch of three contain a variety of music, original songs on the A side and nice covers Covers on the B-side. Covers like: a great version with horns, of The Sonic's 'Don't Believe In Christmas' from Oh! GunQuit. A 60s Britpop psychedelich 'God Rest Ye Merry Gentlemen' by Green Seagull. Rachael Dadd does a quiet version of the Brit traditional 'The Holly And The Ivy'. You can listen to all the lead tracks below.